I stayed here in 2006 and loved it so much. The rooms are clean. However we had a room on the ground floor and was unable to put clothes in the wardrobe because it smelt very damp. I didnt mind living out of my suitcase though. Excellent location, a stones through from the beach. Lovely staff, Jimmy is brilliant. A bit further away from all the nightlife but it didnt matter to us. Jimmy, you're the star of Laganas....Lovin you're jimmy t-shrt this year! Either see you in 5 yrs or next year if you're lucky!! We've just come back to the UK after 2 weeks holiday and had a wonderful time. All the staff were very friendly and helpful. Special thanks toAndreas, Dennis and Jimmy and to the maid who cleaned Room 312. 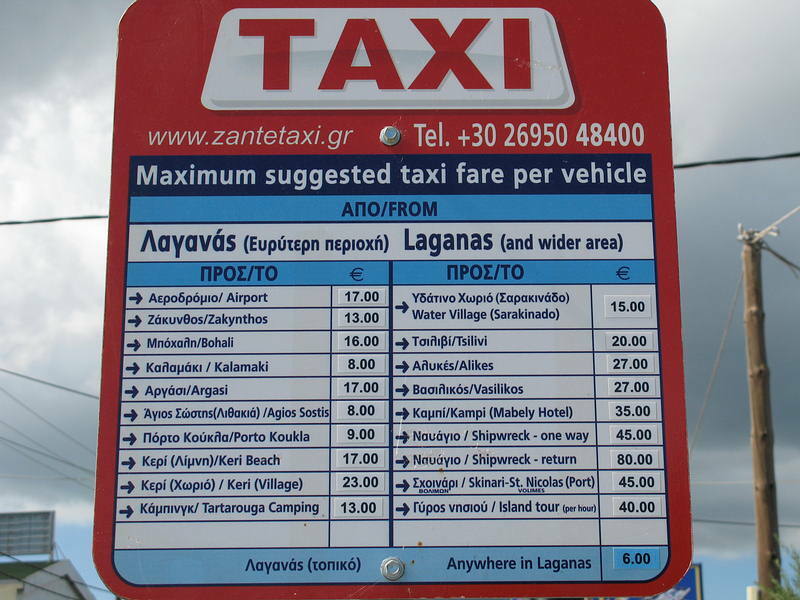 Would recommend the following restaurants: Kostas Taverna, Delicious Restaurant, Bolero Restaurant and Taj Mahal - all on the Kalamaki Road plus the Blue Seas restaurant (turn right at the roundabout at the bottom of Laganas Road onto the beach and about 5 buildings on). Just returned to the UK after spending 2 weeks at the hotel. All the staff were very friendly and helpful, especially Andreas and Dennis. Jimmy was also a right character! Special thanks also to the maid who cleans Room 312. My wife and I would certainly consider coming back again. Me and my boyfriend are staying here for a week last week of september. what is the weather usually like then and what is the hotel like??? we went to this hotel last june and it is beauiful, very clean, lovely staff and right on beach, we meet a couple there who we became friends with and have just come back from another week there with them and my daughter and her boyfriend, who also loved it and are planning on going back next year. we will be back too. milly,paola,tessa,maddy,emily x 2,jodie,christine,danielle and maria! 10 girls gona be stayin here for two weeks, comin over on the 5th july..any1 else gona b ther? if so c u soon!! its gna b heavvvvvvvvvvvvy!! We have just come back from the Andreola Hotel, and can confirm that the red haired woman is no longer there. The staff here could do with some lessons on being friendly and having a sense of humour (a right miserable lot). Breakfast is not very interesting so dont rush down at 8am for it. There is also no children, just couples, and Germans. The rooms are quite small, no coffee making facilities, and our room was on ground floor, we had a balcony but our view was of a load of bushes, not very interesting at all, you couldnt sit out on it and get a sun tan. Location is very nice. sorry to hear about your lose simon. but have too disagree with you about the rest of the staff they were brilliant. espescially Andres,Dennis,Yannis and not but least the wonderfully funny Jimmy. hope too see them all next year. Please don't be put off this hotel is brilliant and friendly. 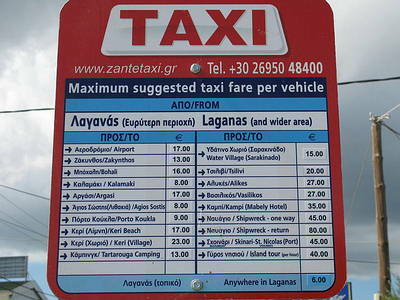 To be fair us i had a brilliant time in Zante, but be warned if u r staying in thins hotal. The comment below says the women who robbed us blind has been sacked, good, she deserves everythinf she gets. She stole two phones, travellors cheques (signed off in the reception with my signature obviously faked, cash and a pair of jeans for f**k sake). the good news is that spliff smoking night lady has been sacked and she didnt half deserve it - 1st class grade a b***h ! hotel was nice though - bit of a walk to the centre but plenty of shops and restaurants around it. be warned though - leave things on the balcony at your peril - things get stolen !!!!! any somebody shut those cockerels up !!!! It was a great hotel to stay in. The people was great the staff was fun an funny. I would go back to the hotel. So if ya go to zante stay at this hotel. The Hotel was a bit far away from all the action (20mins walk) and it had no atmosphere in itself! If you walked along the beach to get to the main strip you were bugged every 2secs to eat in different places "LEAVE US ALONE WE CAN READ MENUS OURSELVES AND MAKE UP OUR OWN MINDS" the hotel staff were very friendly although i didnt get to know all the staff that well the hotel was basically a place to stay! Although we loved Jimmy he was so funny, he spoke perfect english even perfected an accent, he speaks greek, and we were surprised when he started speaking german! The rooms were very basic they had no fridge, tv, radio (so if u got sunstroke like me then you had to read a book all night lol)the room looked onto other apartments very nice for a nosy haha! The hotel and rooms were always kept very clean and tidy, the maids tidied up and cleaned after my boyfriend and i every morning, linen and towels were changed every 2nd day! I spoke to a few ppl who said the basement rooms were freezing at night in May and had to ask for extra blankets, ours was fine though and next to the reception, which was a bit noisy at night and at breakfast time in the morning. Another thing was all the sinks and baths (of everyone we spoke to) the plugs didnt fit the holes so no water could be held....strange! Hotel was on the beach and you could get a nice view of the sea! Theres not enough loungers at the pool area for everyone, so if your not fast your last, the pool was a good size but cold and the hotel owned a few loungers on the beach but you had to pay! And breakfast was bread, butter, jam sometimes meat, sometimes cheese, boiled eggs, cornflakes, peaches, OJ, coffee tea and cake??? Not bad but nothing special sorry guys! 33 days to go before we return for the 4th year. Can't wait to see Yannis, Catherine, Jimmy,Dennis, Andres and zoe. Every time we return to The Andreolas it is like meeting up with much loved friends...Can't wait to see them all. Don't want to say too much about how FANTASTIC the hotel is as everyone will want to go there. We have just booked our 4th holiday here and cant wait. It will be our first holiday for 3 years and what better place to be then the Andreola Hotel where the staff are friendly, the location is great and the service is excellent. The rooms may be basic but they have all you need and are cleaned every day by the maids. Yanis and Dennis might not look too friendly but dont be afraid cos they are a great, Andreas (thats if hes still there) is very friendly and makes yummy hot chocolate but beware of his 'home made' cocktails cos they will knock your head off.And last but not least theres Jimmy... you will find him on the beach looking after the sunbeds and entertaining the crowds! I would reccomend this hotel to anyone!! Absolutely great! Denis made us feel right at home from the moment we got there. Denis and Andreos and of course Mr Andreolas kept us entertained on the days when the weather was not so good, but thats because it was end season and they ad no choice to speak to us! he he. Douska the dog is wonderful she follows you up to town of an evening and will come qand sit with you beside the pool or on the beach! Jimmy the sunbed guy! 'oi mate do ya wanna sun bed' his fav saying kept us laughing! All staff extremely friendly...just watch out for the red head woman who does the night shift. She snuggles up on the sofa with her boyfriend and doesnt like any interuptions and get gets quite snotty if you walk through reception late! But sod her! we just tried to avoid her! Rooms were clean, maids came in every day, food was excellent...must try the greek salad! Oh and another must, you must get andeaos to make you a hot chocolate before you go to bed...its wonderful! Can someone please confirm that this is the Andrealo Beach Hotel? Me amd by boyfriend are flying out on the 30th Sept. We went to Zante last year but more in season. Does anyone know if its still lively end of Sept/early Oct?? well ive been back a week now and i must admit i miss it a bit while we were out there it was scorching hot 40 degrees. on arriving at zante airport, which i must add a big thanx to peeps warning me on the smallness and dirtyness of the airport. 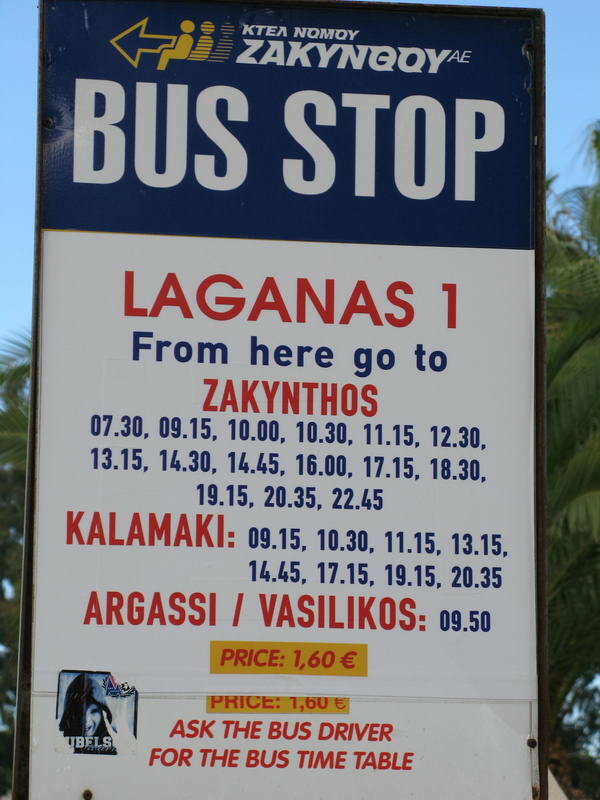 besides arriving on time we landed and a bus picked us up but took us to the other side of the plane and dropped us off, we could have easily walked to the airport instead of waiting for a bus. a soldier stood at the entrance of the airport with a gun and two men standing outside looking at passports (passport control). once inside there was one conveyor belt and 3 flights waiting for their luggage in front of us. 1 hour later our cases came out, we were really lucky our cases came round because passengers waiting were scaring me with we've lost our case one year or our case was damaged. but cos our cases were heavy they came through first. first choice were brill and we were the first on the coach waiting for everyone else to come. it took 10 mins to get to our hotel. arrived very tired and the reception man on the night shift wound me up, it cost �100 for 2 weeks to have air-conditioning (an essential), �1 a day for safety deposit box, fridge (4 fridges to hire in a 40 room hotel) we didnt bother. i asked for a double room with shower, but the reception man told me we had a bath i was a bit miffed about this, but when we got in our room we had a bath with a shower attachment and a shower curtain. the room was lovely, basic but everything u need, try and get a side-sea view otherwise u could end up in the basement right by the cockeral that wakes u up at the crack of dawn which is 4am. the location was great and the food was nice too, we found our favourite restaurant which had the nicest spring rolls (Taverna Kostas on Kalmaki Road). the strip is busy and mad cars driving constantly down the road and no pavements, be careful u dont get run over. we did walk home one night on the beach, but there are no lights on the beach and it took us longer to get home and we nearly sank in the sand. coming home we got picked up 3 hours before our flight and again thank u for the warning of eat before you go and take water, sun tan, cap and food with as you could be queuing up for a long time and outside in the blazing sun. you have to put your case through x-ray first then queue up for boarding passes then queue up for passport. the departure lounge is awful, one shop with duty free but were more expensive. not enough seats for everyone and there is only one departure lounge for all flights so you have to fight with germans for seats. the toilets are eugh!!!! try and get some handy pack of toilet wipes you'll need them. all in all a great holiday really nice rest but the airport is the only bad thing.